It amazes me how quickly the shops switch their Christmas stock to the Easter supplies, but this did give me a chance to pick up a few interesting goodies to write about. On the shelf I could see that there were the regular Cadbury Creme Eggs available in this smaller size, but next to them were these Oreo eggs. I picked up a bag with every intention of devouring them well before Easter. 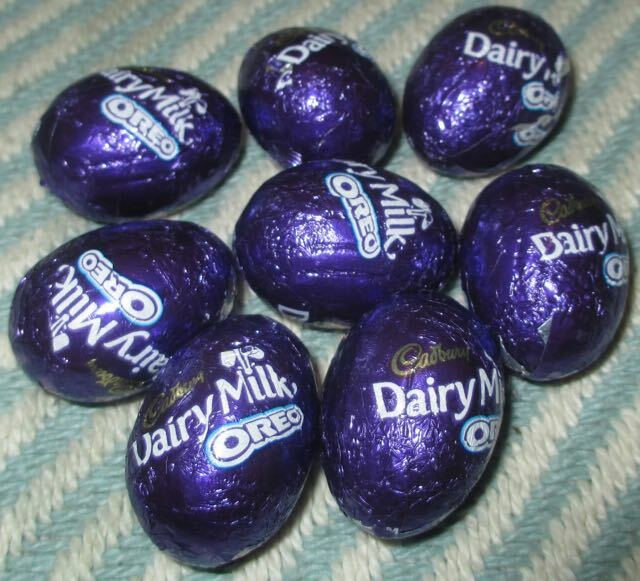 Inside the pack were eight smallish eggs all individually wrapped in the Cadbury purple foil. The chocolate is quite thick on these eggs, there is a generous amount of Cadbury chocolate for each one. Inside there is a darkly speckled fondant, an Oreo "Stuff" filling dotted with biscuit crumble. The eggs are tasty, but I do like Oreo biscuits so I think these were always going to be a success for me. The Cadbury chocolate is very much present but the creamy nature of the Oreo filling works remarkably well with it, the biscuit pieces giving them a perfectly textured gentle crunch. Now I have a sweet tooth so had no problem with these eggs, but I could imagine they might be a bit full on for some. 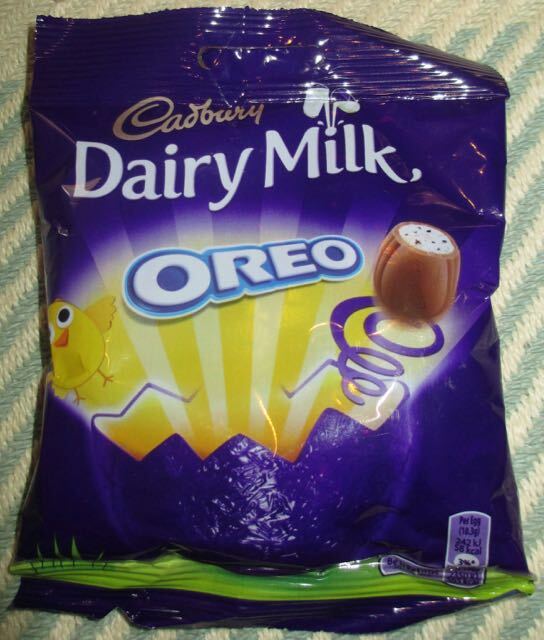 Personally the idea of Oreo flavours with yet more chocolate is right up my street. These are eggs are an easy eating sweet treat. 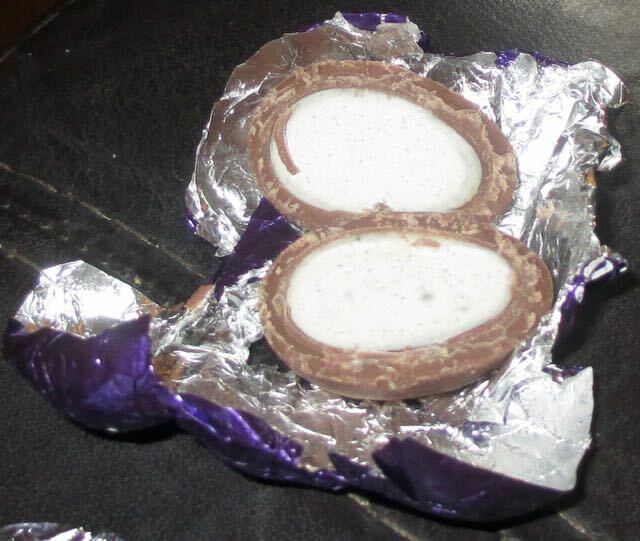 They are a nice alternative to the proper Cadbury Creme Eggs, but they don't out do the classic. I will pick up another bag before the Easter period is over, but I'll be getting some Cadbury Creme eggs too, because its good to mix things up.